A professional poker player from Russia, named Make Zhigalov wins his second €5,000 side event at prestigious European poker tournament, currently in process at Barcelona. 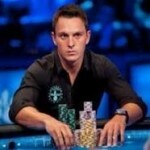 The tour is going on for the world poker players and is the 12th session of the EPT. It was a packed schedule of the EPT#12 today where total 11 events were in process including €300 pot-limit Razz. Many of the events were started today and they will see an end tomorrow, whereas many of the events which took place yesterday will see an end today, that is why the number of events are were so high for the particular day of the tournament. This season of the great European poker tour has extended to the next level where there are plenty of events are going on and are to be played in next few days. There are mix games as well currently in process of the tournament. The €5,000 H.O.R.S.E took place today to which total number of players was 26 and they all generated a prize pool of as well for the prize of €126,100. Out of total 26 players playing for their chances at the H.O.R.S.E, top five got some prize money, including the online player and pokerstars pro Mr. Leo Fernandez collected his share of winning i.e. €11,980. The next man who got his share from the prize pool was Aleksandr Denisov and he added good real money of €14,815in his account. Sebestian is the next player who booked his winning share of €20,490 in his account. And of course Mr. Make Zhigalov, the Russian player who has also won €5,000 Razz earlier this week, wins his share of €40,332 and got the first position to the prestigious event. The next events that took place today were like €500 Limit Hold’em and €300 pot-limit Razz. In the event of €500 Limit Hold’em, the Frenchman Mr.Paul tedeschi beat 41 players associated to the game and gets a prize of €6,760.Check out latest poker news at uk poker sites if you live in UK….